SOLD. 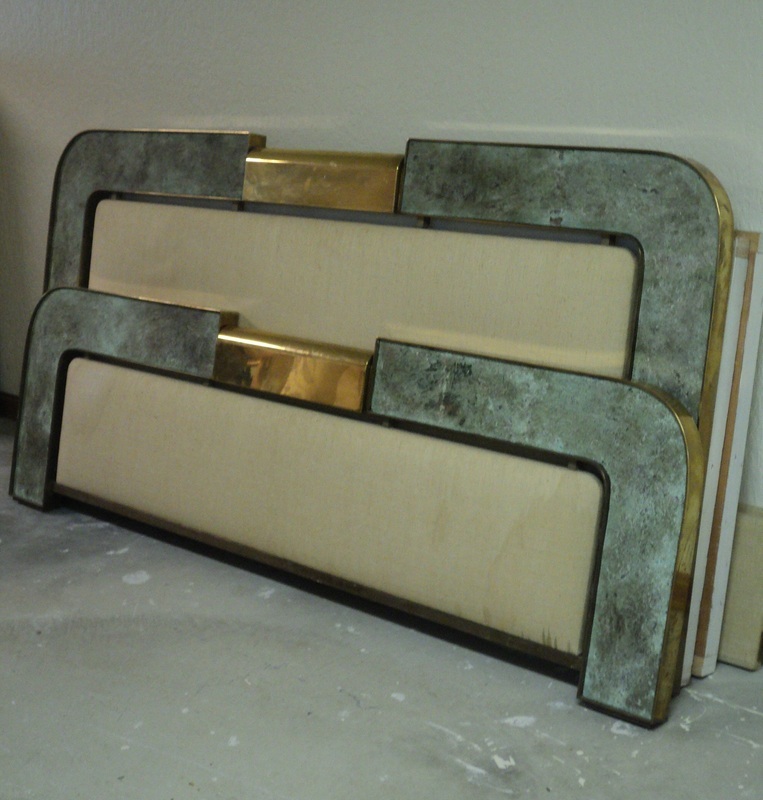 Art Deco/Waterfall Style Brass King Size Bed. 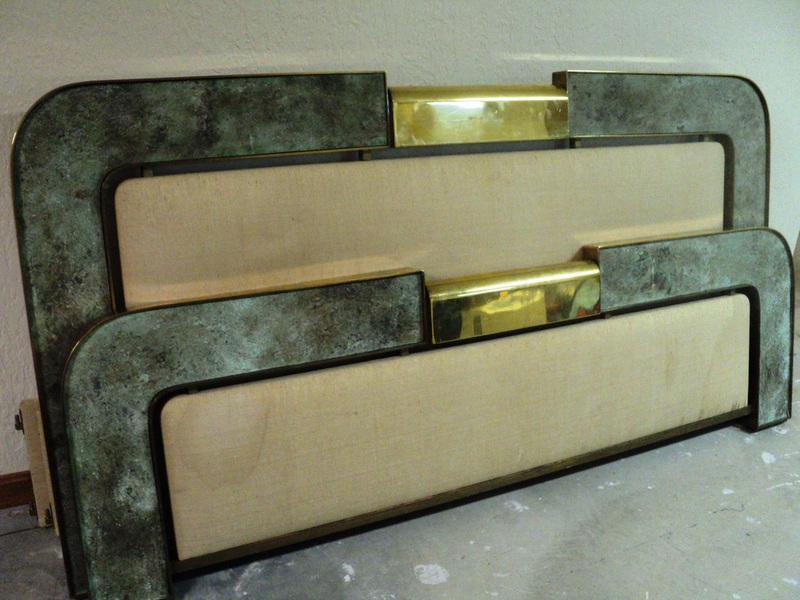 Tawny Linen Upholstered Head & Footboard with Brass Frame Surround and Marbled Green Slate/Stone Inlay. Good/As Found Vintage Condition. 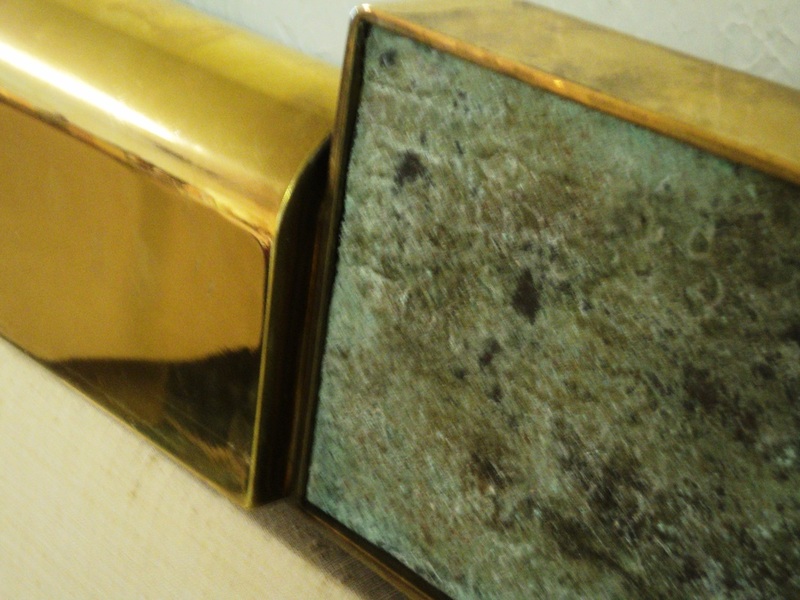 Minor Surface Wear/Patina to Stone/Brass Consistent with Age, Material & Use. 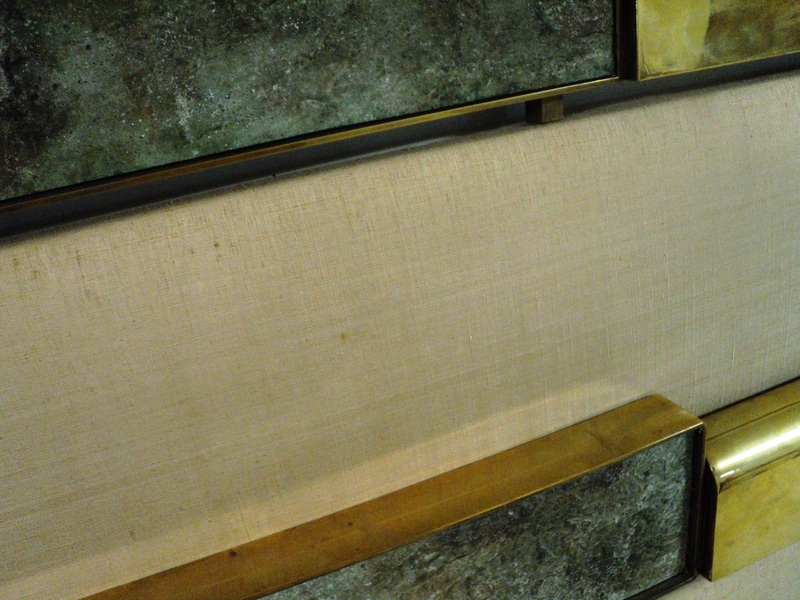 Areas of Discoloration to Linen Fabric and Tear to Fabric on One Side Rail. 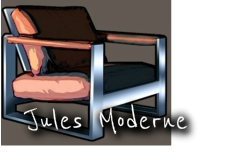 May Choose to Reupholster. This Item is Superior Quality & is Incredibly Heavy. It Makes a Statement. King Bed Includes Headboard, Footboard, Side Rails and Platform Insert. Dimensions: Headboard is 85w x 41.5h x 2.5d. Footboard is 85w x 24.75h x 2.5d. SOLD.